Tees, Totes, Mugs and More! Doggie Doodles by Dina's Star Puppy Dog Charlie Doodle! 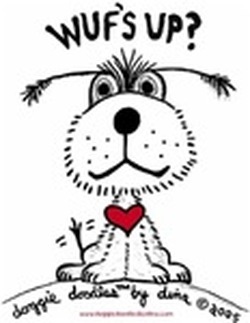 Wufs's Up Tees, Totes, Mugs and More! It's all about Meow! Be proud of it! Celebrate you because it's all about you in so many ways.